Practice for the Elephants Contest Begins April 8! The Practice for the Elephants Contest starts again next week and runs for 6 weeks through May 23rd. Students practice and earn two cents for every minute practiced over the course of 6 weeks. At the end, we total up the funds we raise, and foster orphaned elephants, that is, we will continue to support the elephants we began to foster last year. If there are extra funds (it’s $50 a year for each elephant) we will foster another baby elephant. 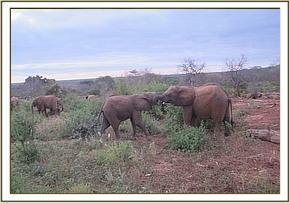 These elephants have been orphaned due to the illegal poaching of elephants for their ivory. The use of ivory for piano keys once contributed to the ivory trade. Of course, ivory is no longer used; polymers and mixtures of plastics are used instead for the key tops. Printed handouts on the contest, as well as the practice sheets, are in the studio. Click here for the PDF with more details on contest, and and why we do it! Lominyek: There is no Keeper’s Diary update for Lominyek, as he is now, happily, living in the wild with other elephants in Tsavo East National Park in Kenya. Because he is, we will be transferring our donation to another younger orphan who needs us! 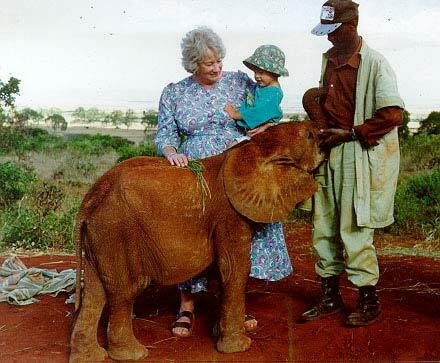 Click here for more information about the The David Sheldrick Wildlife Trust. 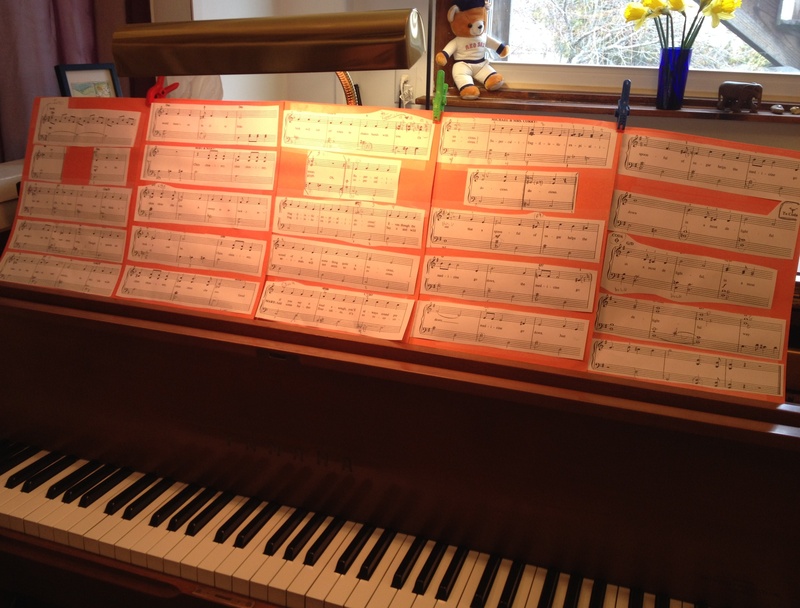 This wonderful contest was created by fellow piano instructor, Penny Lazarus. Want to sponsor a student? If you’re not a part of the studio, click here. If you are, let me know in the lessons and I’ll pair you up with a young student! 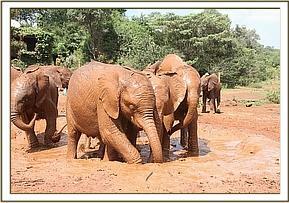 Barsilinga and Lemoyian playing in the puddle. Cyber Monday Specials @ Cape Ann Piano Studio! Gift Certificates available for any number of lessons, either for 45- or 60-minute lessons. All offers good until December 24th, 2013. All gift certificates expire 2 months from date of purchase. Gift certificate rates based on a la carte lesson rates; go here, scroll to bottom of page, and see under RATES, Lessons A La Carte. *Students may begin after the winter holidays in January. All rates prorated to week begun in current quarter. Tuition discount applies to quarterly payment plan only. Other studio policy rules apply. Contact Julie Cleveland for details. **All five lessons are paid for in one payment. Prices based on regular weekly timeslot lesson rates; go here, scroll to bottom of page, and see under RATES, Regular Weekly Timeslot. Contact Julie Cleveland here for more info and details on the Cyber Monday Specials! 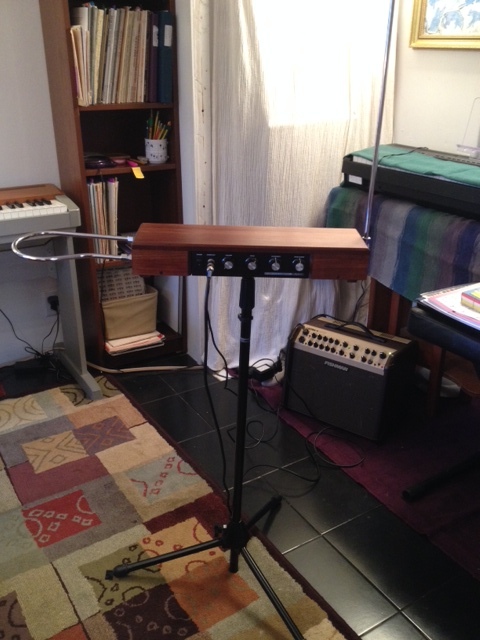 Fun with the theremin for Halloween! Here’s one of my young students—he’s 9 and in the 4th grade—playing a spooky-music theremin and piano improv! What the heck is the theremin? And here is a documentary about the theremin: Theremin: An Electronic Odyssey.